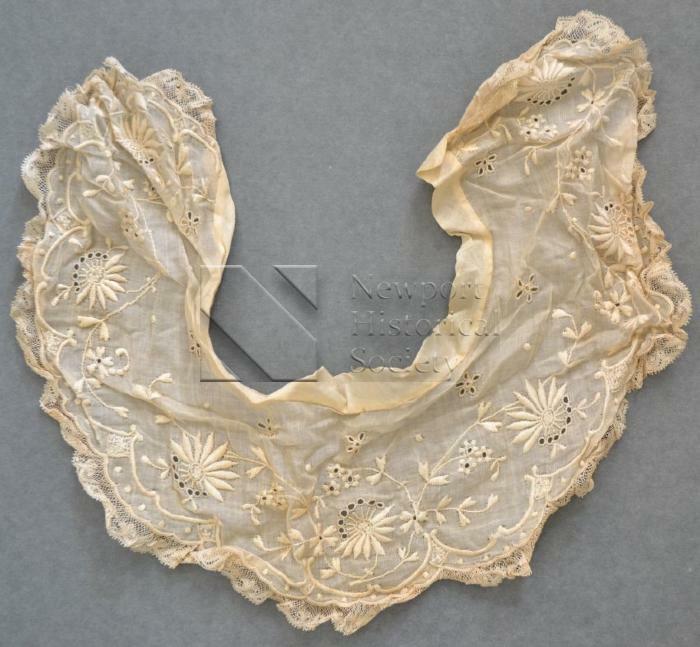 A collar made of an ivory plain weave fabric with cutwork embroidery, whitework, and a lace border. Embroidered elements consist of flowers, vines, dots, and scalloped lines. Top of collar is finished with an ivory band folded on the bias; bottom is borded by a thin strip of lace with a scalloped edge.